Call A to Z Entertainment, Inc. today for free information about how to hire or book Christian music singers, Casting Crowns. With over twenty years of successful experience, we are your best agent and agency for booking and hiring contemporary Christian musicians CASTING CROWNS! We book or help you hire any live professional entertainment you want, to include – Gospel and Christian musicians, singers, and live bands. We can also help you plan and produce your event or show, so call us today at 888-655-4575 and we’ll be happy to help you. The advice is always free from A to Z! In the hustle and bustle of everyday life, it is often hard to stay focused on the things that are truly important, but sometimes all it takes is a song to remind us. Over the past eight years, Atlanta based Casting Crowns has consistently delivered music that points believers back to what truly matters, and the band does so yet again on Come to the Well. Casting Crowns continues to deliver passionate, thought-provoking music, yet these songs are among the most intensely personal offerings the group has ever shared. Remembering that simple, but powerful, truth has served Hall and his band mates (Megan Garrett, Melodee DeVevo, Hector Cervantes, Chris Huffman, Juan DeVevo and Brian Scoggin) well, particularly over the last few years as they’ve juggled faith, family, music and ministry. Even as Casting Crowns has become Christian music’s most successful act, Hall and his fellow band members have continued working at their home churches. Hall has remained a youth pastor at Eagles Landing Baptist Church as the band’s music ministry has gained global acclaim. On its fifth studio album, Hall once again takes some of the messages he’s shared with students and parents at Eagles Landing and pours them into songs. “Teaching through the story of the woman at the well with my teenagers and my families is where it all came from,” Hall says of the inspiration for the new album. Like Casting Crown’s previous albums, Come to the Well is filled with songs that both challenge and encourage believers in their walk. The lead single, “Courageous,” is showcased in the Sherwood Pictures film of the same title. The powerful lyric exhorts men to lead bold, uncompromising lives for the Lord. “About four or five years ago, I read a book called ‘Raising A Modern Day Knight’ by Robert Lewis and it’s all about manhood,” says Hall. “Jesus, Friend of Sinners” urges open-hearted compassion while “Already There” is a potent treatise on God’s faithfulness. “Spirit Wind” is one of the first songs Hall ever wrote, and has long been one of his father’s favorites. The song has a bluegrass flavor unlike any thing Casting Crowns has ever done. On the other end of the musical spectrum, “My Own Worst Enemy” is an all out rocker about not falling back into past behavior. Hall, who has won two “Songwriter of the Year” GMA Dove Awards, collaborated with some old friends in writing for the new record and also made some new ones. He and Steven Curtis Chapman penned “So Far to Find You” about Mark’s adopted daughter, Hope. Since its launch in 2003, Casting Crowns has garnered 14 GMA Dove Awards, three GRAMMY Awards and an American Music Award. In addition, the band has seen three RIAA Platinum Albums (Casting Crowns, Lifesong, Altar and The Door), two RIAA Platinum DVDs (Live From Atlanta and Lifesong Live), two RIAA Gold Albums (Until the Whole World Hears, Peace on Earth) and two Gold DVDs (Altar and The Door Live and Until The Whole World Hears Live). Casting Crowns has sold more than 8.2 million albums to date (according to Nielsen SoundScan) and has been named Billboard magazine’s top-selling Christian music act for the past four years. 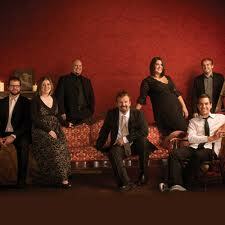 Casting Crowns recently celebrated its first RIAA certified Gold single, “Who Am I,” from its 2003 self-titled debut. The song, selling more than 500,000 copies, is one of only 12 Christian music tracks ever to secure Gold status. Casting Crowns has always worked its tour schedule around church responsibilities and has still managed to touch audiences around the world with its live performances. It’s 2009-2011 “Until The Whole World Hears” world tour placed the band in front nearly 1 million fans in more than 175 cities around the world including performances for U. S. troops in Kuwait and Qatar. The band also performed twice in North Korea in partnership with Global Resource Services. Having helped hundreds of clients, we’re your best agent and agency for booking and hiring contemporary Christian music artists Casting Crowns. We can help you book or hire any Gospel or Christian musicians, singers, bands, or artists. Call us now at 888-655-45755 and we’ll be happy to help you. A to Z Entertainment, Inc. is not the exclusive booking agency for any live entertainers on this site, but we’re the best.